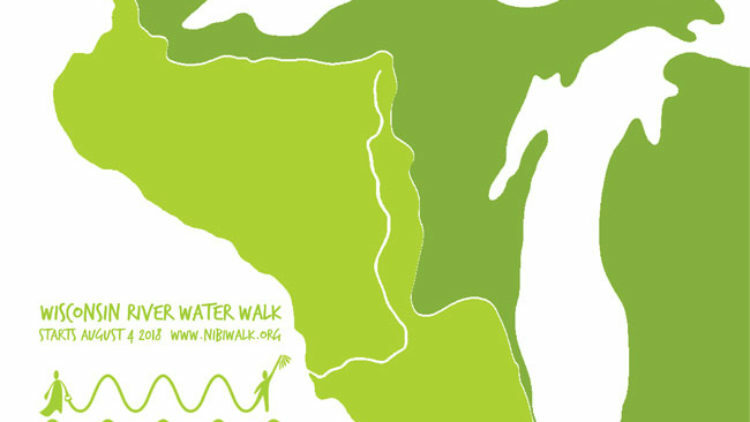 (Minneapolis, MN, July 13, 2018) Indigenous-led Wisconsin River Nibi (Water) Walk will begin August 4, 2018. The walk begins at the headwater of the river near Lac Vieux Desert near the Wisconsin/Michigan border. Over an estimated 14 days walkers will carry a ceremonial copper vessel of water 379 miles to the confluence of the Wisconsin and Mississippi Rivers in Prairie Du Chien, Wisconsin. The Wisconsin river was one of the main water routes for tribes. It begins near Watersmeet on the Lac Vieux Desert reservation. One trail went to Lake Michigan, one to Lake Superior and the trail along the Wisconsin River meets the Mississippi. Walkers will be following the southern trail route along the Wisconsin River following the path of the ancestors. Despite growing environmental awareness the challenges facing our fresh water continue to mount. Ongoing activism is crucial however we must also embark on a spiritual journey – one that will lead us to honor the water and embrace that all things are connected: that together with our lakes, streams and rivers, we will thrive or perish. Water is life: the Nibi Walkers invite all to journey with them. Nibi means water in the Anishinaabe language. In Anishinaabe teachings it was promised that the water would always flow down to us as long as we remembered to sing and make offerings to the water. The Nibi Walkers believe these songs and offerings are crucial now, when the health of our freshwater is at great risk. They invite people from all walks of life to join them – in person or in spirit – on this sacred mission. Throughout their walk participants will pray and sing, sun-up to sun-down, to heal and honor the River. Though steeped in Anishinaabe ritual and beliefs, people of all faiths are welcome to walk for an hour, a day, or more. To learn more about the Wisconsin River Nibi Walk visit www.nibiwalk.org. Nibi Walks is supported by the Indigenous Peoples Task Force and by generous donations. Anishinaabe elder Sharon Day, Executive Director of the Indigenous People’s Task Force, will lead the Wisconsin River Nibi Walk. She is available for interviews. Please contact her directly at the number listed above. Photo of Sharon Day with Eagle Staff by Camille J. Gage; high resolution file available on request.